Angelina is presenting a talk on “Fabricating humanities futures: a case for innovative partnerships in the regions” at the University of Tasmania on 9 May, 6pm. Betty Sargeant is shortlisted for the Innovator of the Year award: she will present as finalist for the Veski Fast Smarts Innovator of the Year Award at Federation Square on Wed, 8 May 2018. Well done Betty! Mueller, F., Byrne, R., Andres, J., Patibanda, R. Experiencing the Body as Play. Proceedings of the 2018 CHI Conference on Human Factors in Computing Systems. CHI 2018. Long paper. ACM. BEST PAPER AWARD TOP 1%. Marwecki, S., Brehm, M., Wagner, L., Cheng, L., Mueller, F., Baudisch, P. VirtualSpace – Overloading Physical Space with Multiple Virtual Reality Users. Proceedings of the 2018 CHI Conference on Human Factors in Computing Systems. CHI 2018. Long paper. ACM. Sargeant, B., Mueller, F. How Far Is Up? Bringing the Counterpointed Triad Technique to Digital Storybook Apps. Proceedings of the 2018 CHI Conference on Human Factors in Computing Systems. CHI 2018. Long paper. ACM. Mueller, F., Gibbs, M.R., Vetere, F. and Edge, D. Designing for Bodily Interplay in Social Exertion Games. ACM Transactions on Computer-Human Interaction. Volume 24, Issue 3, 2017, 1-41. Presented at CHI 2018. Dolejsova, M., Khot, R., Davis, H., Ferdous, H., Quitmeyer, A. Designing Recipes for Digital Food Futures. CHI 2018. Workshop (organizing). ACM. If you are packing for CHI, here is your chance to bring your running shoes for another “Jogging at CHI” event! (where you can leave your bags) and jog from there. So bring your runners, either get changed at your hotel during the break before or use the toilets next to the room, we’ll leave shortly after for a run around the venue outside. 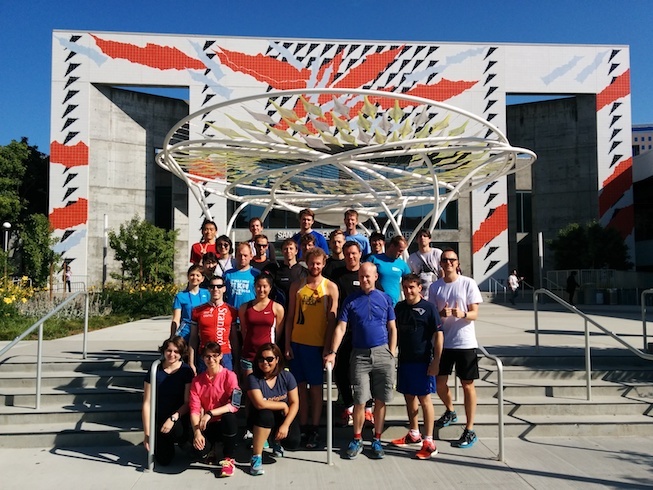 We have done this five times in the past and everyone involved seemed to have enjoyed this “alternative” format of talking HCI and sports while getting some exercise at CHI. We’ll be running for approx. 30min and we have plans to accommodate those who want to jog slower/faster/further/not that long etc. All jogging levels will be catered for! 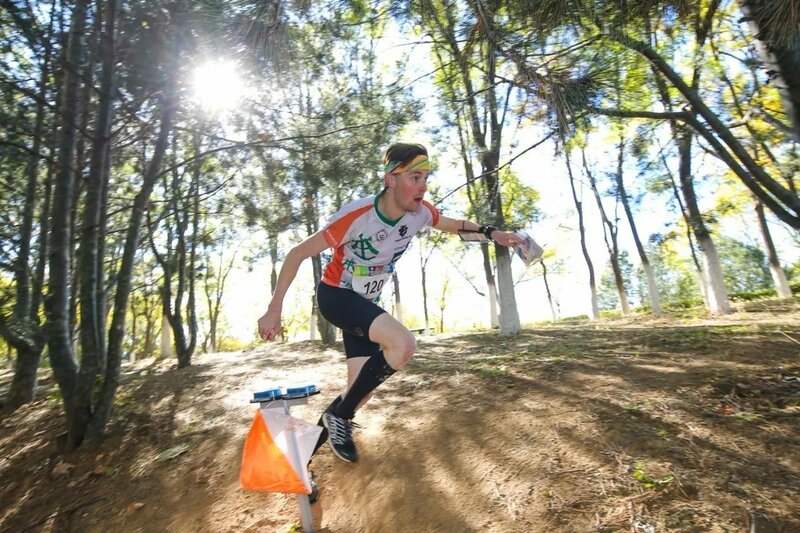 The goal is to actively shape the future of the field of sports-HCI. Mueller, F., Byrne, R., Andres, J., Patibanda, R. Experiencing the Body as Play. Proceedings of the 2018 CHI Conference on Human Factors in Computing Systems. CHI 2018. Long paper. ACM. BEST PAPER AWARD. Altimira, D., Mueller, F., Clarke, J., Lee, G., Billinghurst, M., Bartneck, C. Enhancing Player Engagement Through Game Balancing in Digitally Augmented Physical Games. International Journal of Human-Computer Studies. 103 (2017), Elsevier. 35-47. Dagstuhl Seminars are frequently praised by participants as the most productive academic events they have ever experienced. It has earned a reputation as Informatics Capital throughout the world. Betty wins the Victorian Premier’s Design Award! Betty, creator-in-residence at the RMIT Exertion Games Lab, led the creative team who designed The Storytelling Machine. This was the major project of her recent Melbourne Knowledge Fellowship and won the Victorian Premiers Design Award for best Digital Design. The development of this project was proudly supported by the Centre for Game Design Research. The Storytelling Machine is an interactive media artwork. It is a digital system that delivers a collective story made from crowd-sourced content. The story is told through text and images that are projected onto surfaces in an exhibition space. Audiences draw characters, place them into a custom-made photo-booth and watch as their characters are instantly animated across video “worlds”. People also contribute short story texts in any language. The machine generates real-time graphics, randomly displaying audience contributions. Ultimately this installation presents a disjointed contemporary narrative; an imprint of what it’s like to live in digitally connected automated cultures where people oscillate between geographic and virtual realities. The Storytelling Machine was co-produced under sponsorship from the Asia Culture Centre and the ACI (South Korea) and was supported by City of Melbourne (Knowledge Melbourne), the Victorian Government through Creative Victoria (VicArts), the Copyright Agency Cultural Fund, the City of Port Phillip Cultural Development Fund, and the RMIT Exertion Games Lab in RMIT’s Centre for Game Design Research. Brandmueller, F., Li, Z. Guts Game – A Game using Ingestible Sensors. CHI PLAY 2017. Student Game Competition Finalist. 625-631. Li, Z., Brandmueller, F., Mueller, F., Greuter, S. Ingestible Games – Swallowing a Digital Sensor to Play a Game CHI PLAY 2017. Work in Progress. 511-518. Sargeant, B., Mueller, F., Dwyer, J. Using HTC Vive and TouchDesigner to Projection-Map Moving Objects in 3D Space: A Playful Participatory Artwork. CHI PLAY 2017. Spotlight. 1-11. Patibanda, R., Mueller, F., Leskovsek, M., Duckworth, J. Life Tree: Understanding the Design of Breathing Exercise Games. CHI PLAY 2017. Long paper. 19-31. Mueller, F., Tan, C., Byrne, R., Jones, M. 13 Game Lenses for Designing Diverse Interactive Jogging Systems. CHI PLAY 2017. Long paper. 43-56. We presented our 2 papers, Student Game Competition, Work-in-Progress and Spotlight submission at CHI PLAY’17 in Amsterdam! 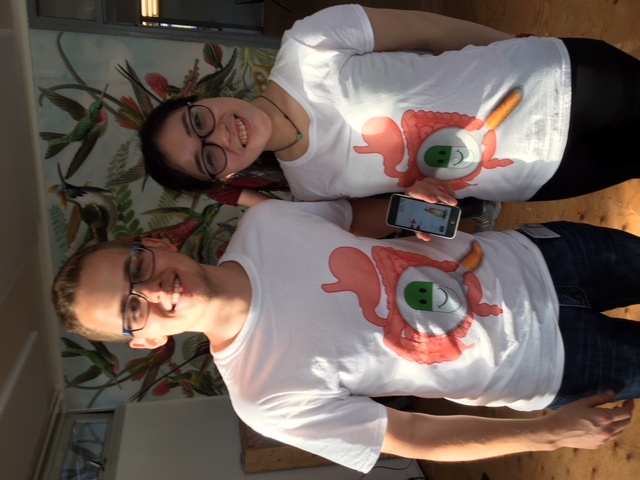 Here is a photo of Zhuying and Felix presenting their latest “Guts” game, for which they designed their own T-Shirts. Brandmueller, F., Li, Z. Guts Game – A Game using Ingestible Sensors. CHI PLAY 2017. Student Game Competition Finalist. 7 pages. Li, Z., Brandmueller, F., Mueller, F., Greuter, S. Ingestible Games – Swallowing a Digital Sensor to Play a Game CHI PLAY 2017. Work in Progress. 8 pages. Sargeant, B., Mueller, F., Dwyer, J., Using HTC Vive and TouchDesigner to Projection-Map Moving Objects in 3D Space: A Playful Participatory Artwork. CHI PLAY 2017. Spotlight. 11 pages. Patibanda, R., Mueller, F., Leskovsek, M., Duckworth, J. Life Tree: Understanding the Design of Breathing Exercise Games. CHI PLAY 2017. Long paper. 13 pages. Mueller, F., Tan, C., Byrne, R., Jones, M. 13 Game Lenses for Designing Diverse Interactive Jogging Systems. CHI PLAY 2017. Long paper. 14 pages. The Storytelling Machine is a finalist in the Victorian Premier’s Design Awards!